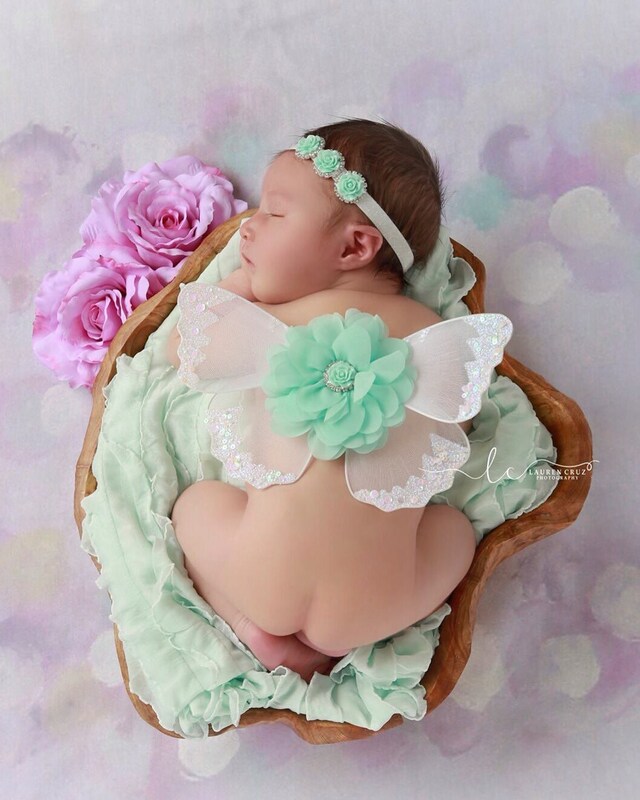 These wings lay on the babies back for photo props for newborn babies, recommended to be used on a sleeping baby. No straps, they would show and wake the baby to attach to shoulders. Wings measure 8x5 inches. 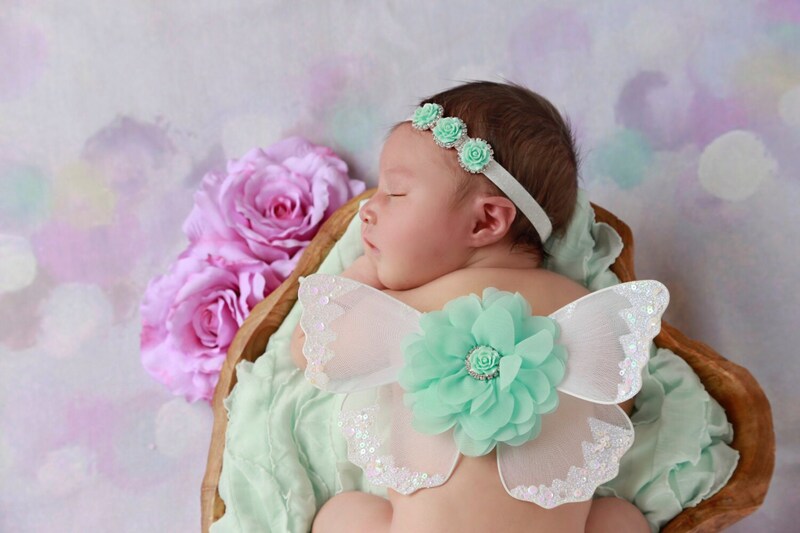 Headband measures 13 inches for newborn set and is frosted white stretchy elastic. You can choose regular mail, priority or overnight shipping on checkout for USA customers only.